Professor Phillips is currently Chairman of Research Transfer Ltd, Phillips Hydocolloids Research Ltd, the Cellucon and Trusts and the Wrexham Gums and Stabilisers Conferences. He is a Visiting Professor and Fellow at the North East Wales Institute (University of Wales) and a Consultant to several industrial organisations, including to the Association for the International Promotion of Gums. He graduated from the University of Wales in Chemistry and holds the degrees of Batchelor of Science (BSc), Doctor of Philosophy (PhD) and Doctor of Science (DSc)and is a Chartered Chemist and Fellow of the Royal Society of Chemistry. He has held positions as Executive Principal/Chief Executive of the North East Wales Institute and Chairman / Professor of Chemistry of the Department of Chemistry and Applied Chemistry, University of Salford. From 1970 - 1973 he served as the Foundation Vice Chancellor to set up the University of Benin, Nigeria, who on their 20th Anniversary conferred the degree of Doctor of Science Honoris Causa on him. His own University of Wales conferred upon him (in 1999) the degree of Doctor of Laws (LlD) Honoris Causa for “outstanding contributions to science and education”. 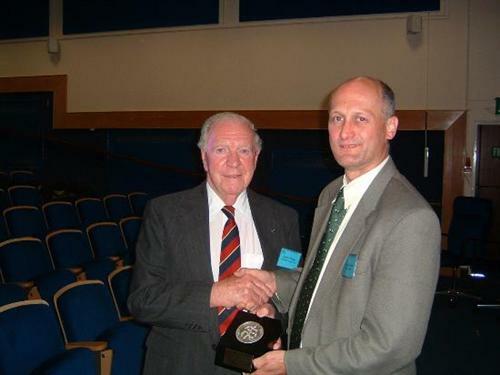 He has been awarded many honours, including the Hopkins Medal of New York for "contributions to science" in North America, the Science and Technology Medal (2004) from the National Eisteddfod of Wales (for eminent contributions to scientific literature in Welsh) and has been elected an Honorary Member for Life of the Society of Fiber Science and Technology, Japan, the Latin American Association of Tissue Banking and the Asia Pacific Association of Surgical Tissue Banking and the European Association of Tissue Banking ( in Prague October 2004) (their premier awards). Professor Phillips' research interests have centred upon carbohydrate and biomaterial systems, particularly on food hydrocolloids and medically-related biopolymers of connective tissue. He has been a collaborator with Dr Endre A. Balazs since 1963, lately with Biomatrix Inc, (now incorporated into Genzyme Inc) which produced HYLAN, an FDA approved product, which was used for the replacement for synovial fluid damaged by osteoarthritis ( “SYNVISC” ). Professor Phillips is Founding Executive Editor of the journal FOOD HYDROCOLLOIDS, and has produced 52 books and (currently) 553 papers in leading scientific journals. These include : NEW FIBERS; NEW MILLENIUM FIBRES, INNOVATION & TECHNOLOGY TRANSFER IN JAPAN AND EUROPE (Routledge), the series on GUMS AND STABILISERS, and the CELLUCON series and HYALURONAN: Vol 1 Chemical Biochemical and Biological Aspects and Vol 2 Biomedical, Medical and Clinical Aspects. He is also currently Editor-in Chief of the Advances in Tissue Banking and Editor of the International Journal of Cell and Tissue Banking.